Check out the details below and see how you feel about this Forest Yordle! 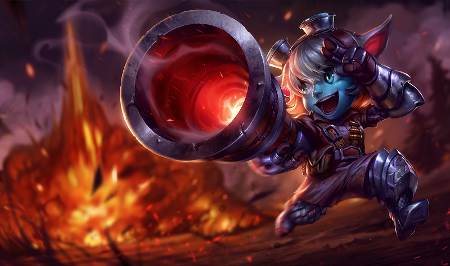 Press the Attack is the core that gives Tristana the ability to successfully perform this strategy as it gives her an incredible amount of burst damage that allows her to maximize her executes. Triumph is the only rune on this level that really makes sense. Legend:Alacrity is also the only rune on this level that really makes sense. Coup De Grace will likely be your best choice in almost every scenario unless the enemy team has a ton of tanks. Sudden Impact gives Tristana a large amount of bonus damage during her ganks and is a must. Ravenous Hunter - This gives Tristana a decent amount of sustain, but is really just here because the rest aren't very good. Alternative secondary trees include Sorcery for extra damage or potentially Insipiration for an extra gold boost. For the most part the runes are pretty standard though. 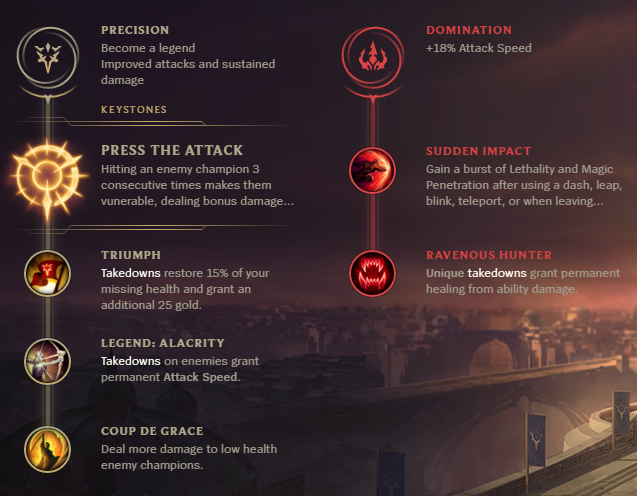 The new runes provide more burst damage than she normally receives, resulting in additional gank potential that she otherwise wouldn't have. Sudden Impact is generally meant for assassins, but this does give Tristana an additional form of burst damage during ganks. Being a ganker, Tristana will naturally be more invested in getting kills than as a bot laner. This allows her to snowball into the new runes faster and get to mid-game much sooner. Jumping behind enemy lanes and ulting them backwards is extremely fun, and as a jungler Tristana gets to explore that avenue of attack much more often than as a marksman. The fact that she becomes a second marksman also allows her to be more expendable as well. Tristana's Explosive Charge [E] gives her extremely good jungle clear abilities, and she can crush the wraith camp without taking much in the way of damage or time. Tristana ganks aren't necessarily bad, but the gank pattern is fairly obvious and dodgable if you're wary of how much damage she can dish. While other cheese junglers like Twitch can position in a way that he can get a kill no matter what summoners the enemy has, Tristana needs a few more tries to successfully kill an enemy laner. While Tristana can obviously play like a standard marksman, the temptation to intiate with Rocket Jump and ultimate is extremely high. While it does work sometimes and feels great, it's a high risk maneuver that puts a main source of damage in an extremely dangerous situation. 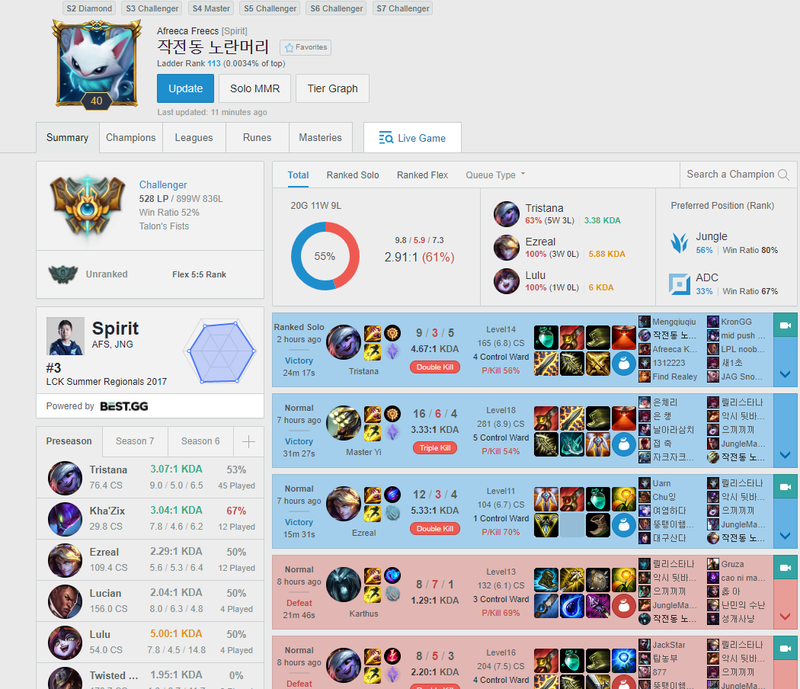 Overall I'd say Tristana jungle doesn't seem very good to be honest, and although I do think it can work, it doesn't appear to be anything game-breaking, even if challenger level players are picking her up. What do you think about Jungle Tristana? Comment below!